We have an article today from screenwriter Zack Halliwell. Zack approached us wanting to write a detailed piece on building a scriptwriting portfolio. Take it away, Zack! At the heart of any filmmaking company, there is a busy hive of workers. From production managers to directors, you need a good few hands to make a film come to life. And every film also needs a hand to wield the pen. The scriptwriter has a strange but all-encompassing power over the whole production. As if the script is bad 9 times out of 10 the film will also be bad. Have you seen the lineup of Golden Raspberry Awards for Worst Screenplay in recent years? Most recently won in 2016 by Batman v Superman: Dawn of Justice. Ben Affleck (the titular and growly Batman of the flick for the uninitiated) has any number of awards — including two Oscars and three Golden Globes — but, no matter the other talent going into the film a bad script is a bad script. Which means, making it as a scriptwriter can be a unique challenge. The first hurdle to climb: having your work recognised and getting hired. For this, you need an airtight portfolio full of good writing. That last part is very important. Good writing. Bad writing. Insane writing. It doesn’t matter. Simply write and write. The more material you have, the more you have to edit. If you write eighty screenplays and two come out of the editing process usable, then you have done a job well done. 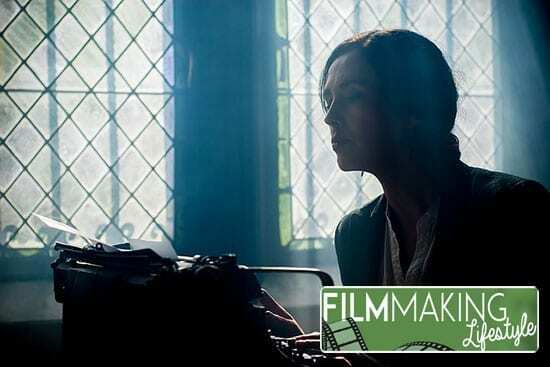 Writing is different for every person, but the more you do the better chance you will have a screenplay worth producing at the end of the day. Coming up is NANOWRIMO, technically something to help aspiring novelists but something you could use for your screenwriting needs. The aim is 50,000 words, but a screenplay is generally judged on page count rather than word count (normally between 95 and 125 pages). 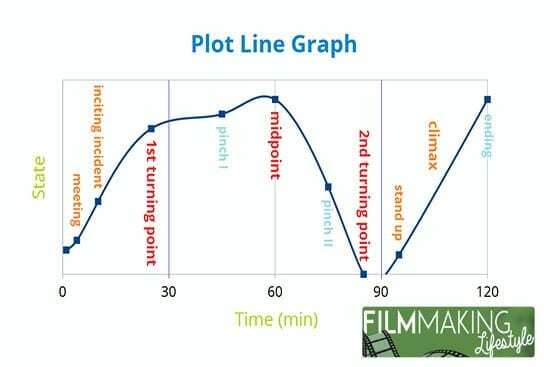 The words for a screenplay generally varies from 7,000 to 20,000, depending on your dialogue choices. So, you could even write several screenplays by following along with this writing challenge! It isn’t for everyone, but it can be a great way to prompt yourself into the habit of writing every day. A speculative script is something that you hope you may one day sell, or which may get you hired for another job at some point in the future. A screenwriter can have a portfolio full of these, but they may never actually be made into a feature. This is something you need to accept about your portfolio. It is often an indicator of your talents, rather than a catalogue to be bought off of. Which is why you need to choose your spec scripts specifically for this purpose, making them as perfectly crafted as possible to make your writing talents stand out the most. Having someone else look over your stuff for editing purposes is also a good idea, as it can remove some silly spelling or grammar mistakes. Rather than writing a full blown movie or series for your portfolio, it is often better — and easier — to write an episode of the series or a particularly good scene from the movie to put into your portfolio. That way you put a taste of your style in your portfolio, but you can keep some aside for selling purposes if you prefer. So many people make a simple mistake when it comes to their scriptwriting portfolios: jumping genres. You may love a good romance one day, but writing one and including it in a portfolio otherwise occupied with sci-fi thrillers? It looks out of place and it can confuse your personal branding. Because, yes, you want to brand yourself as a screenwriter. That’s not to suggest that you will be writing one genre for the rest of your life. Many good screenwriters build a reputation for themselves in one genre, then make a move to another as their brand solidifies. It’s simply a good idea in your early days as a scriptwriter! Outside of having your portfolio proofread, a good idea is to have some more constructive feedback from industry professionals. It can give you a good idea as to how your writing will be received overall. Also, if something isn’t quite right with your portfolio this is a great time to address this fact, rather than when you have sent it out to a number of production companies. 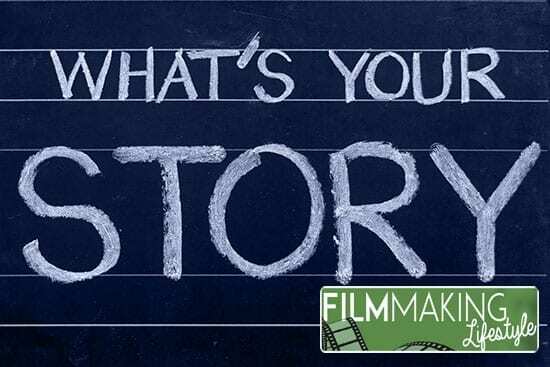 A little insider feedback, while a little hard to come by if you’re not in film school or similar, can actually make your portfolio stand out that much more from your competition…all the other scriptwriters in the world! We all like to think we’re infallible. But, as a writer, one of the early lessons to take on board is the fact that you will need to write and then re-write, then go through a round or two of editing. Scripts are never gold from day one, they need to be sieved thoroughly. When our craft is so dependent on this very factor, it can be difficult to decide when to even stop the re-writing process. Reportedly Hemingway re-wrote the last page of A Farewell to Arms nearly thirty-nine times. So, if you ever struggle with this process of scriptwriting, just remember: you’re not alone and it does come to an end eventually. As a creative professional, constant work is not always an option. This means that you will lack a few of the perks that come with a full-time employment contract. Remember to invest in freelancer insurance if you’re not affiliated with a production company from day one, as professional indemnity insurance is vital to protect your assets as a scriptwriter. Okay, so you have a wonderful portfolio. Full of spec scripts that will be sold in an instant, if only someone was willing to look at them. So why aren’t they looking at them? More often than not, it’s because you’re not selling yourself. Whether you try and network at industry events, or just talk about your work on social media, the fact is you need to be saying something. A silent portfolio will have no impact on your career and needs plenty of chatter to work for you. This ties into talking about your work. But it is just as important to talk about another key element: yourself. They say that it’s not about what you know, but who you know when it comes to jobs. It is the same across many industries, but especially so in film and production. Networking and meeting the right people — even virtually — can be a way to find yourself at the top of someone’s ‘to watch’ list. Which in turn may lead to some great writing opportunities. Other than networking, you can also work to market yourself. You may not be a business, but that doesn’t mean that you can’t create a ‘brand’ which is presented to others. Typically, this is done via social media. The more active you become in relevant communities on the various platforms, the more likely you will be able to attract attention to your brand and then your writing. Sometimes selling yourself first and then your writing is the most successful way to go! Though social media can seem self-explanatory, it can be difficult to gain traction this way with any speed. Expect things to be very slow to begin with and for your followers to grow slowly over time. But, stick to it and you could attract the attention of the ‘right’ people via social media. So you may not have aspirations of being a director, but, it can be helpful to create a few of your scripts to help highlight your abilities. All you need is a camera (even your phone would do) and a few willing participants – it can help to highlight your dialogue skills and bring a little bit more life to your work. Plenty of people do this and upload it to YouTube (with varying levels of success), so there’s a precedent for it. It could even bring you to the attention of other amateurs, helping you to build your network and land a more lucrative gig! Indie filmmaking is how many famous faces found their start. Including big names such as Bryan Singer. So, you should not be afraid to start off small! One day you could be behind the writing pen of an X-Men movie! The real trick to creating a good scriptwriting portfolio is to do all of the above, then repeat ad infinitum. Finding success as a writer can be a long and drawn out process, so don’t let that deter you or get you down. Simply keep doing what you do until you catch the right person’s eye. It only takes one success to put you on the path to glory! Or at least a regular paycheck, either way. So, there you have it. A scriptwriting portfolio from scratch just takes… a lot of work. Sure. But, if you have the aspiration then this is work that you will appreciate for what it is: a stepping stone. Rome wasn’t built in a day and neither is a screenwriting career, so don’t be afraid to work at it.